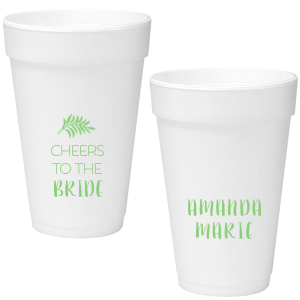 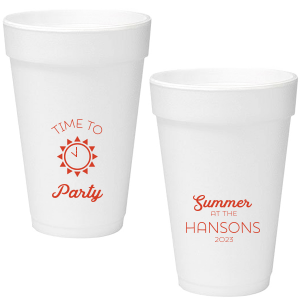 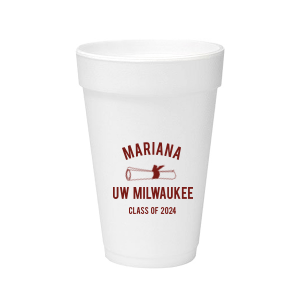 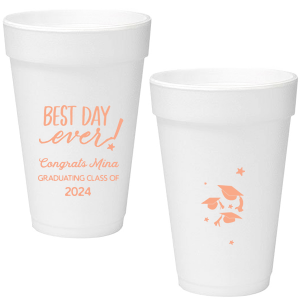 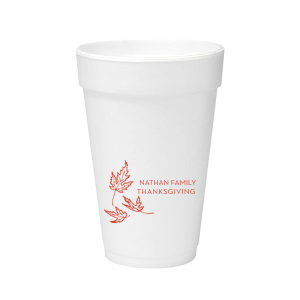 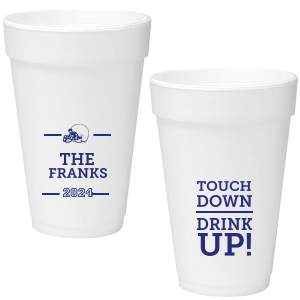 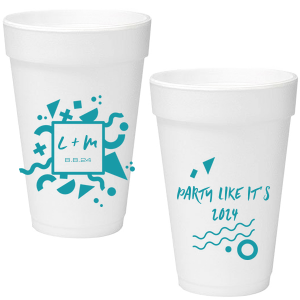 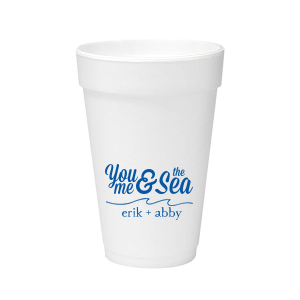 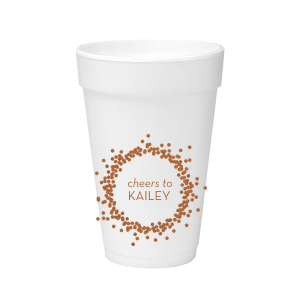 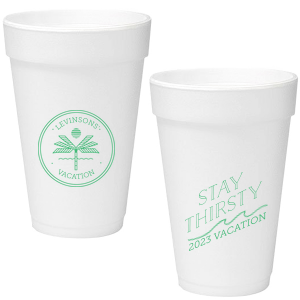 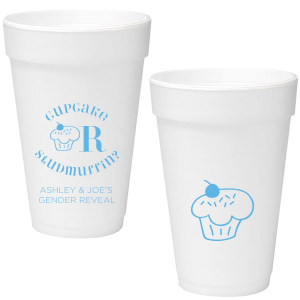 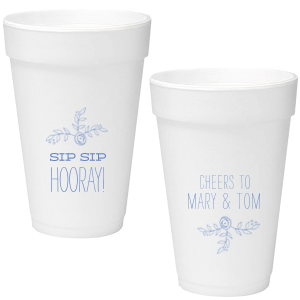 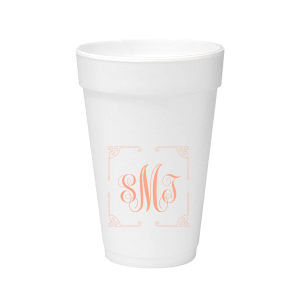 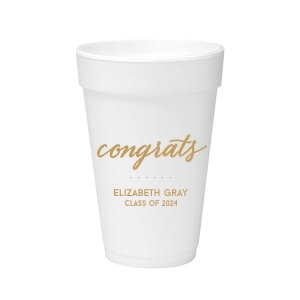 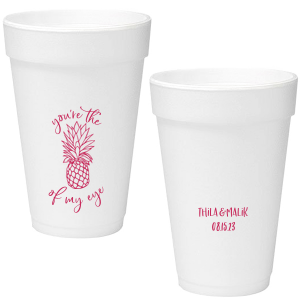 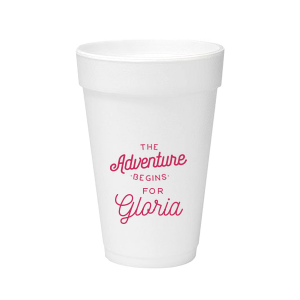 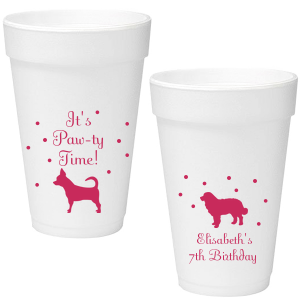 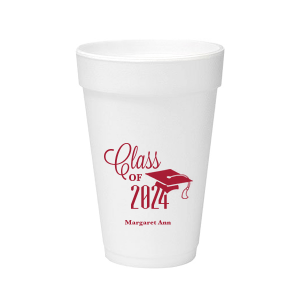 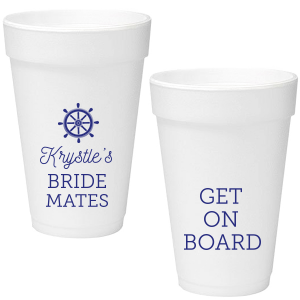 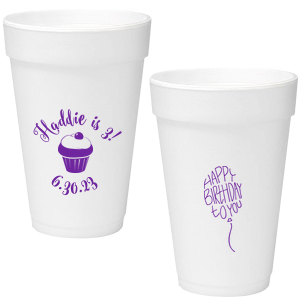 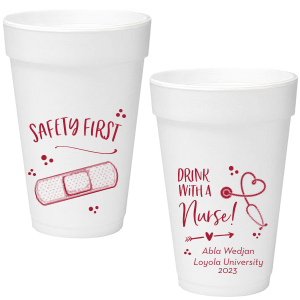 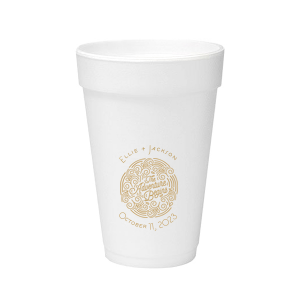 Styrofoam cups are warm and festive when they’re personalized for your special event. 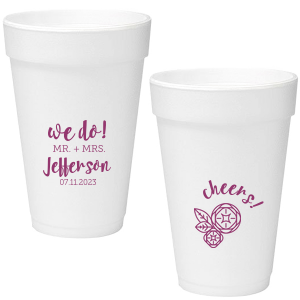 Create custom styrofoam cups for warm or cold beverages—just the right size for beer, soda or a generous serving of hot chocolate as a parting wedding favor. 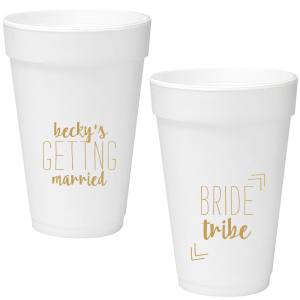 Guests will love this unique addition to your wedding, shower, tailgate or other party.